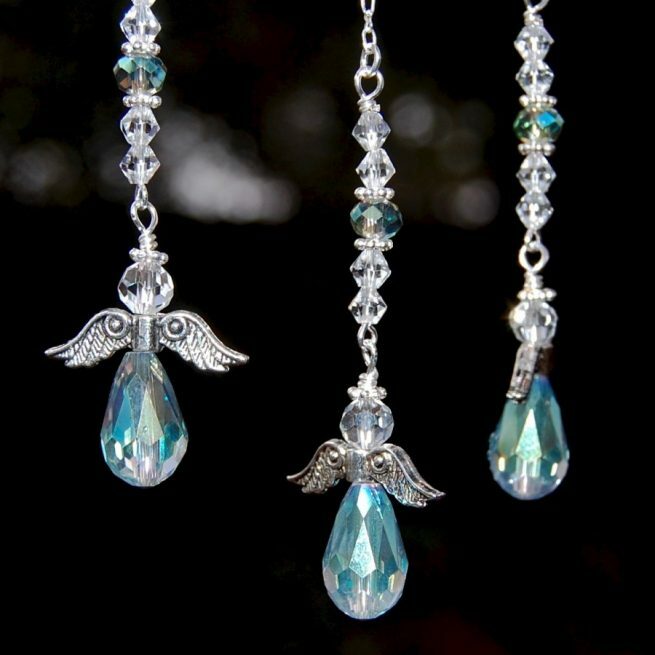 This iridescent blue-green hanging guardian angel decoration can be hung from the rearview mirror, in a window or anywhere you choose! 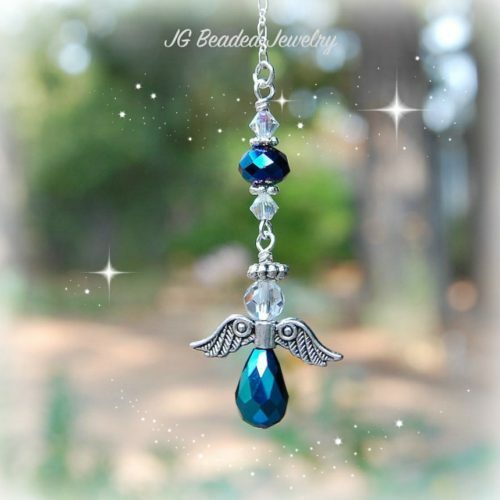 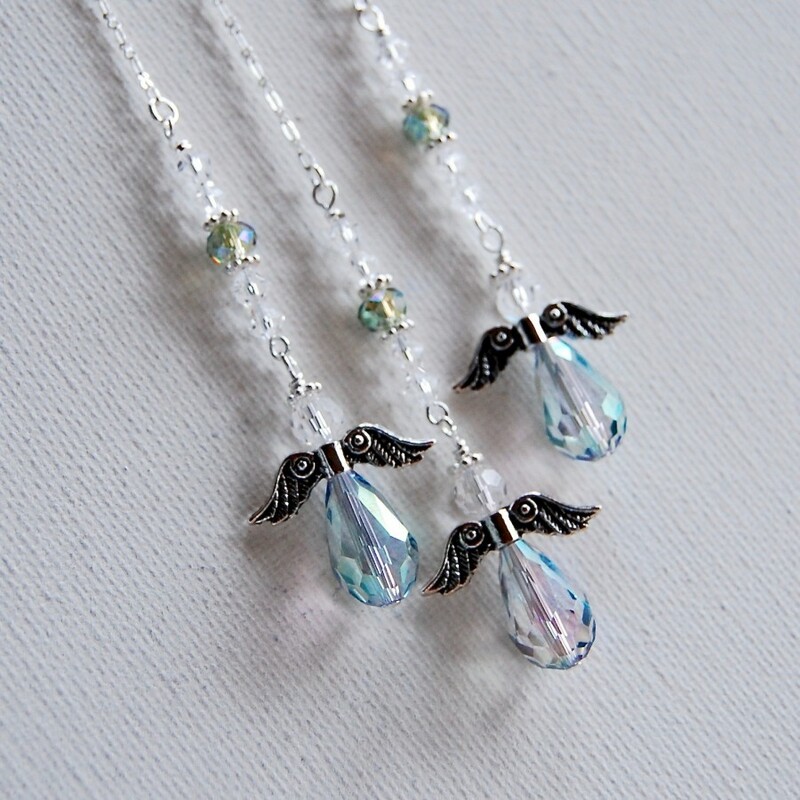 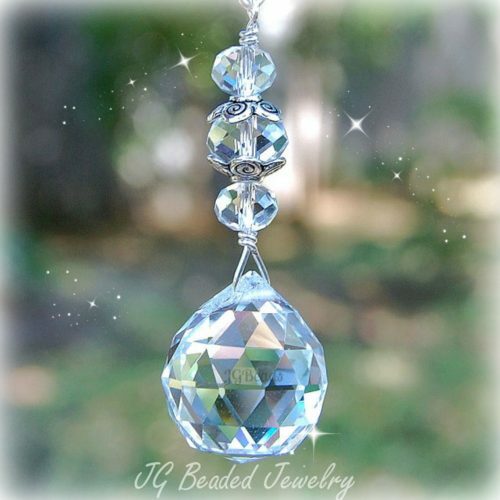 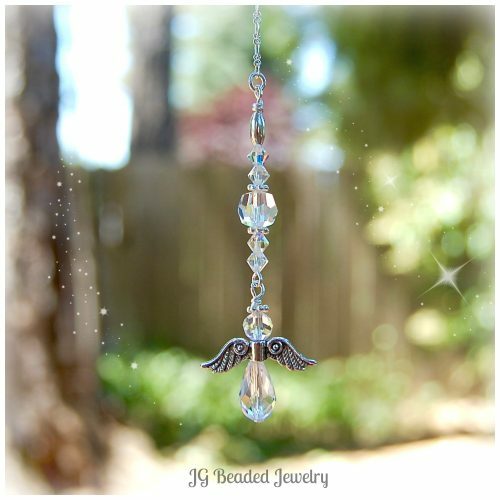 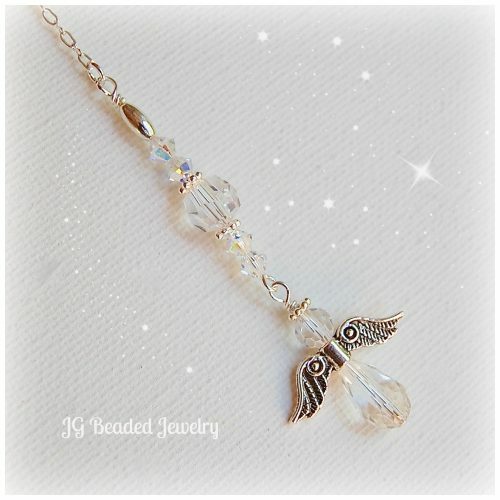 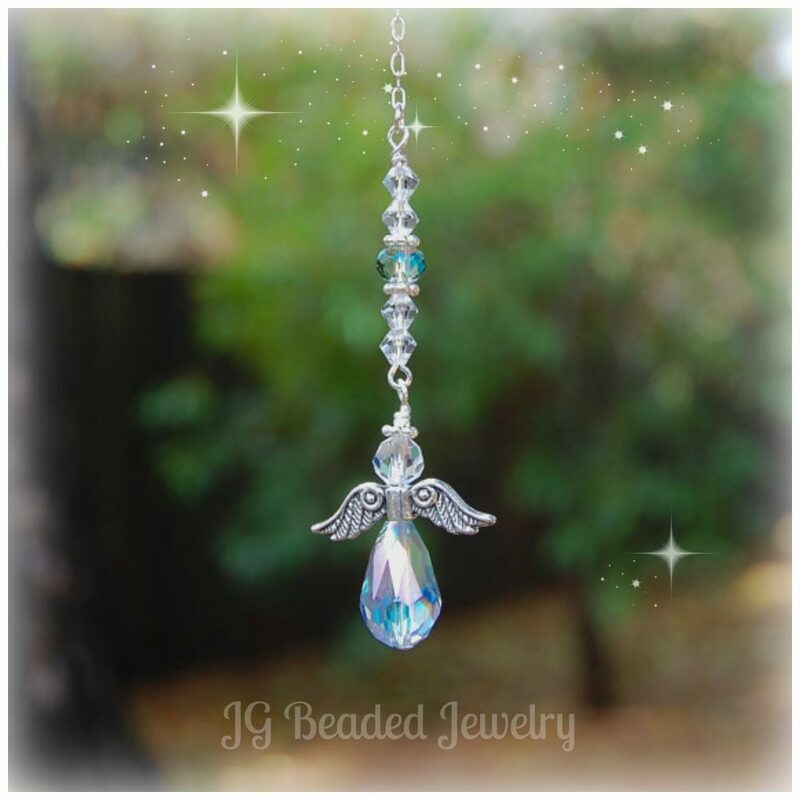 Handcrafted with love, uniquely designed and quality made with clear faceted crystals, faceted iridescent blue/green crystal beads, lead-free pewter angel wings, and fancy silver metal beads. 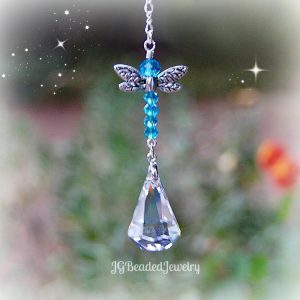 The color was very hard to capture with photos, so please look through all pictures to get a better idea of the coloring!